I ordered this fish along with 2 others the other day. FIsh arrived healthy and with great color. It..
Got my first fish when I was 9, and had fish tanks ever since( I\'m now 72). kept everything from gu.. I received a healthy size and beautiful coloration! Absolutely BEAUTIFUL fish!!! Ordered 12 different, 2-3 inch Discus ..... arrived next morning and al.. I purchased this Royal Purple discus awhile back at 2 inches and now is a giant male full color 7 in.. I ordered 2 Discus for the first time a few weeks ago. 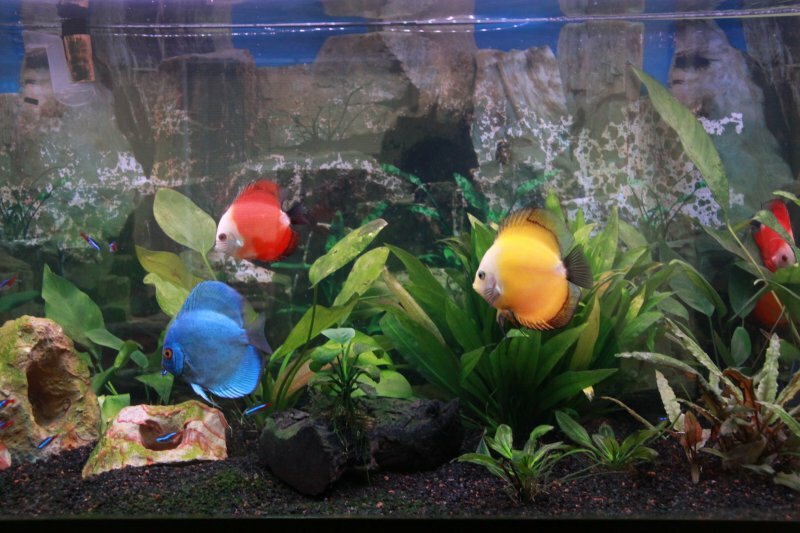 The fish arrived very healthy and I am very p..
Just ordered my first discus from them and I could not be more happy, I order 3 discus and they all ..
as always fast shipping and lovely fish i now have 28 discus and each is as nice as the next. in fac.. I just received my 5 discus on Thursday. This one was the one I had been waiting for, and it was wor.. I rencently ordered several discus fish and they arrived very healthy and bright. The shipping was v..
First time order for me. Very impressed, fish were beautiful and received them quickly. Definite fut.. This is my second order from something phishy and I have nothing to say but good things about this w.. This is the second order of fish I have made and am again pleased with my beautiful fish! both order..
Bought 2 discus locally cost me $60, one died after three weeks. They both look so sickly compared t..
Bought 11 discus. Quality and price so good I ordered 5 more the next day. Hi I am so happy to let you know that 2 brilliant blue mosaic, 2 red stone dragon and 1 brilliant ..
thx keith first time i ordered online my discus is doing great he is very happy and healthy i recome..
Placed my order on Tuesday 12/11...shipped on 12/12 and the post office was calling me to pick up on.. I wasnt sure about ordering fish to be delevered from florida to ohio. But they arrived safely and d.. The roal purple that I received is gorgeous. 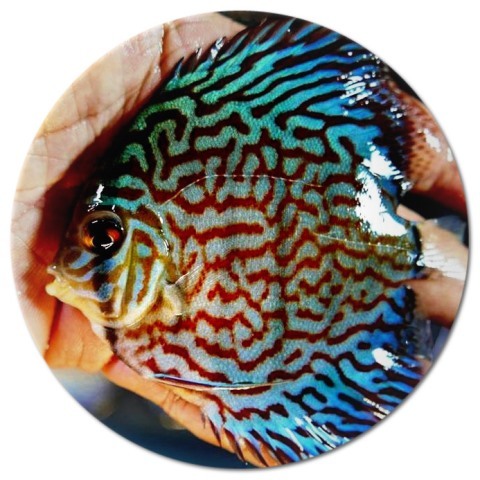 He has quite the personality and once I put him in with..
keith,thank you so much for my discus fish.this is the first time i have ordered fish over the inter.. I wanted to thank you once again for the Discus and Pleco\'s ..